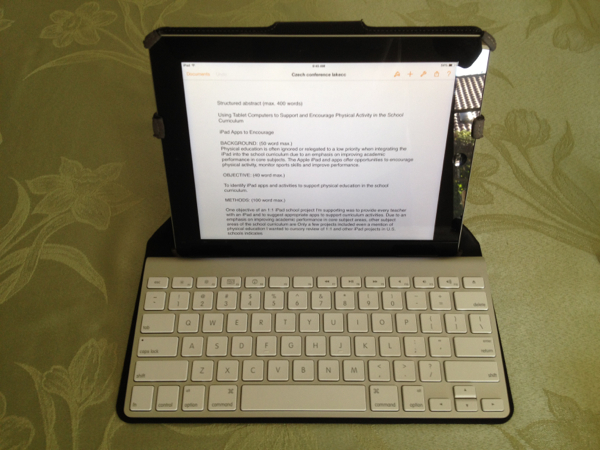 For those who prefer a true keyboard for the iPad, the Apple Wireless Keyboard is a great accessory. Unfortunately, the Apple keyboard doesn’t come with a case for traveling. If you travel with your iPad and like to take your keyboard along, you should consider the Origami Workstation from Incase. The Origami is a slim, lightweight keyboard carrying case that converts to a stand to hold your iPad for typing. When closed, the case protects your keyboard from bumps and bruises while packed in your backpack, bag or briefcase. Two Velcro tabs secure the enclosed keyboard. Those same two Velcro tabs are used to help form the support for the stand. 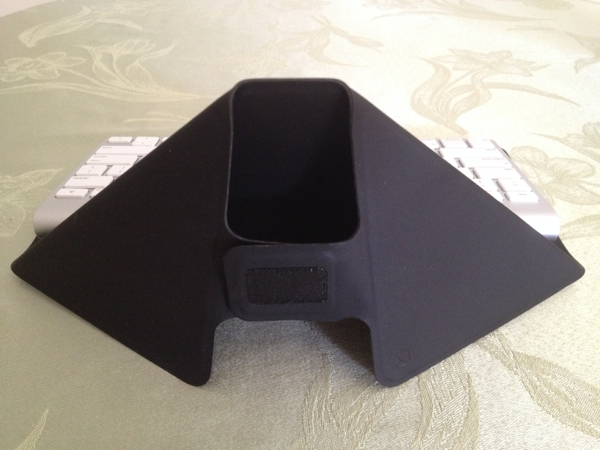 Once you remove the keyboard, you can fold the cover into a handy stand for the iPad. 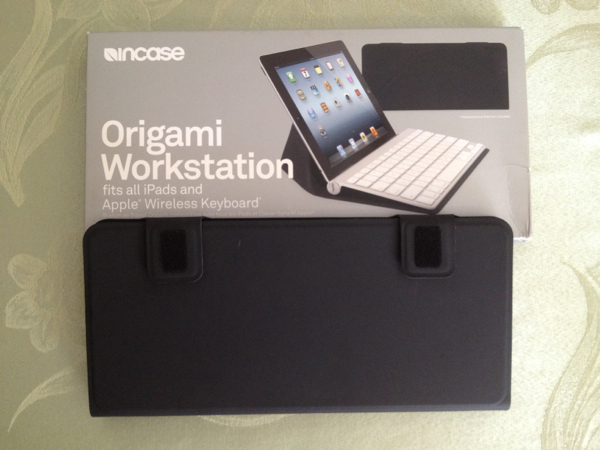 The Origami Workstation should work with any model of the iPad and will accommodate most iPad cases. 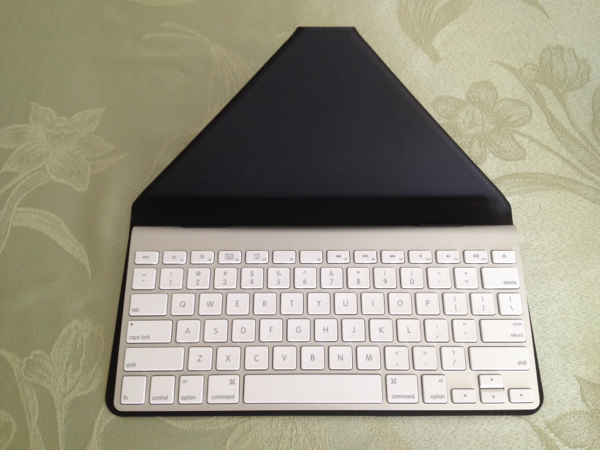 Note that the Origami is designed specifically for the Apple Keyboard. 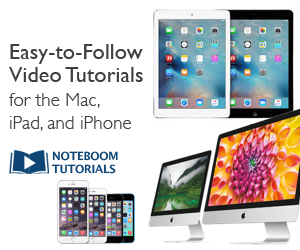 If you use another Bluetooth keyboard with your iPad, you’ll need to find another solution for packing and traveling. 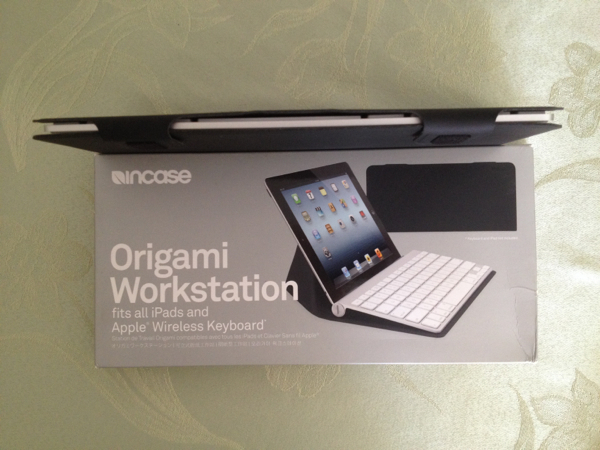 The Incase Origami Workstation sells for about $30.00.